is a small town in beautiful Vann's Valley, located about 14 miles southwest of Rome and 5 miles east of the Alabama state line on US HWY411S / GA HWY53. Our community has been able to preserve its charm and integrity without excessive modern development, except for a brand new "state of the art" red light complete with crosswalk signals, now in the middle of town. 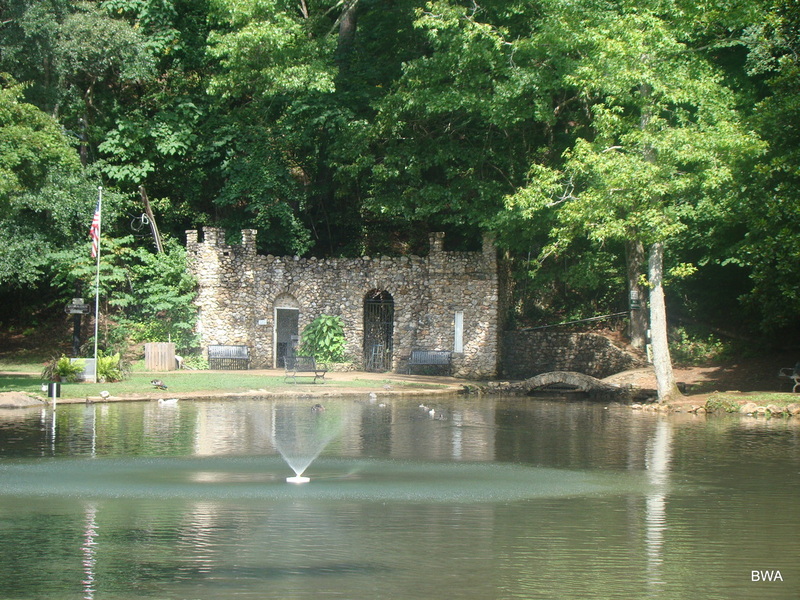 Cave Spring's original claim to fame is its namesake mineral spring, flowing from the cave in Rolater Park, its 29 acre site having been given to the citizens of Cave Spring by Dr. Joseph B. Rolater. 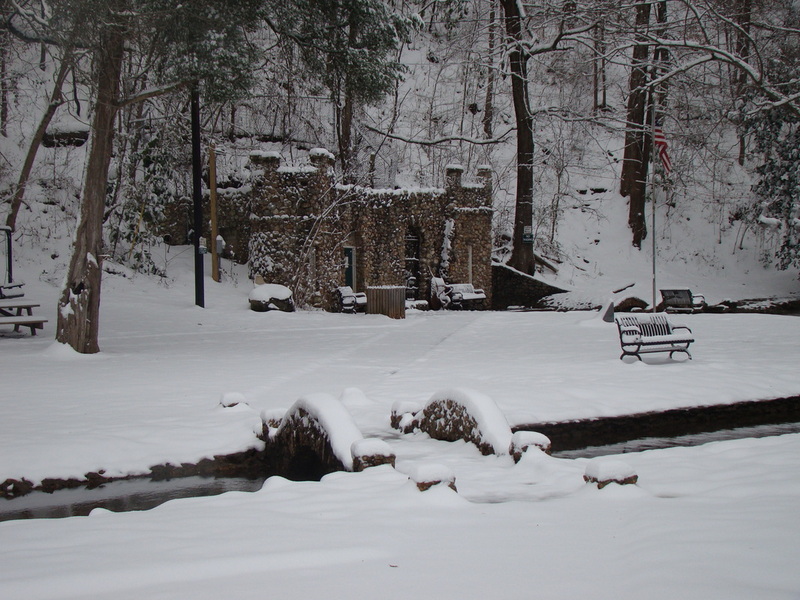 Little Cedar Creek also flows through the park and town. 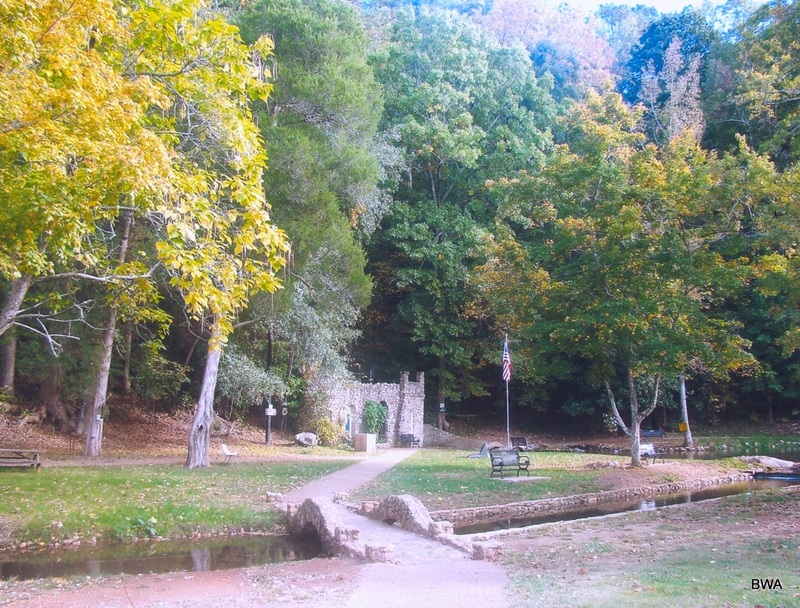 The park has covered pavilions and picnic tables for rent under beautiful trees, near the flowing waters, perfect for family reunions, with a playground available for the amusement of the children, and of course, wading. Feeding the fish (bream, trout, etc.) and ducks in the large spring fed pond is also a perennial favorite, food being available at the cave for a very nominal fee. Several citizens have donated beautiful memorial benches for the grounds and comfort of visitors. The Park Board is continuously updating the facilities for the enjoyment of all.